i’ve said it before, and i’ll say it again – but ye Gods bless Marie Tupper and Aaron Green… those two and Leven’s Coffee Company have gone above and beyond – helping us with our fundraiser for our trip to the Moebius Syndrome Conference in Philadelphia next year. Back at the beginning of the summer, when i first met with Marie and Aaron about doing some fundraising with them – I went in expecting to get a few sign up sheets to pass out to my friends and family, but what i got was totally unexpected. First of all, you need to know this about me. Secondly, i sometimes don’t know how to express my gratitude. But i feel it. So, when Aaron and Marie sat down with me and told me that they were excited to help out my family, who they only just met, but they wanted to make a ‘special blend’ for the express purpose of this fundraiser… complete with its own special packaging – and not only that, but hell, let’s sell it in store for the full year until you go on your trip – it felt like i was sucker punched in the gut – but in a very good way. it was all i could do to smile and nod and i’m pretty sure i said: ‘awesome’ about a bajillion times. I cried on CIrcle Drive all the way from Preston to 22nd Street. So – now here we are. Ozzie turns ONE on Sunday. 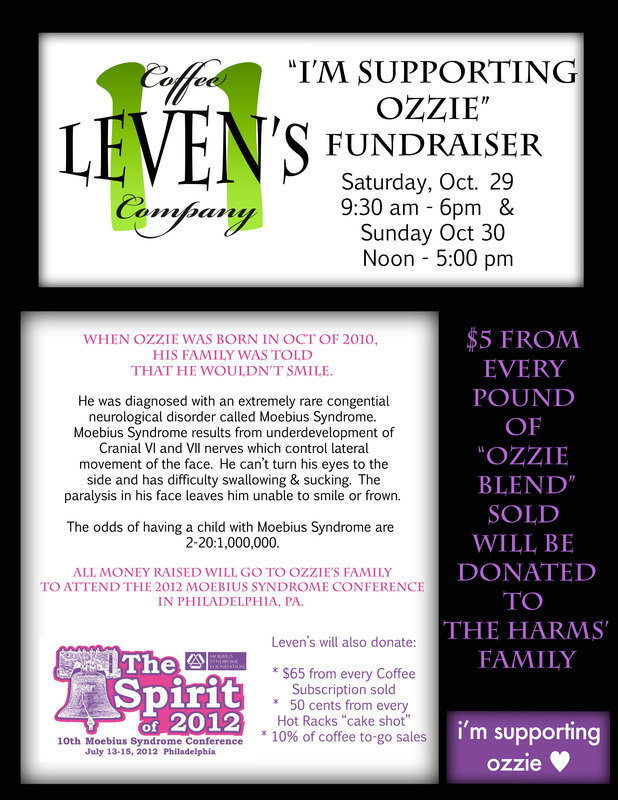 To celebrate, (the are so frakkin’ wonderful) they are having an In-store fundraiser at Levens Coffee in Market Mall on Saturday and Sunday – October 29/30th. Even if you don’t drink coffee, i’m guessing you might know someone who does… A coffee subscription would make a great Christmas present to a coffee lover in your family – or buy a pound of coffee for your kids’ teachers. Thank you, THank you, thank you to Marie and Aaron and Levens Coffee Company. 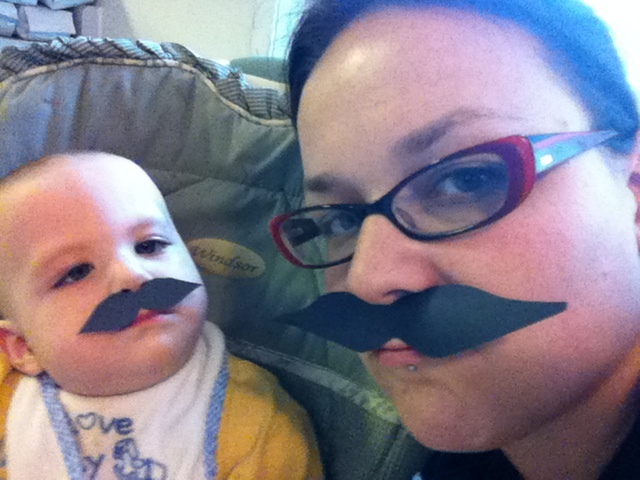 This entry was posted in asking for help, Coffee, Fundraising, Uncategorized by ozziesmama. Bookmark the permalink. it is said that when we share our sorrows, our sorrows are divided. When we share our joy, our joy is multiplied. So true!! I empathize. I find it hard to ask for help too.